With rising enrollment at the Leonardtown campus of the College of Southern Maryland, the physical education building underwent a $12 million renovation/expansion to the existing Student Recreation Center which included a 32,000 sq. 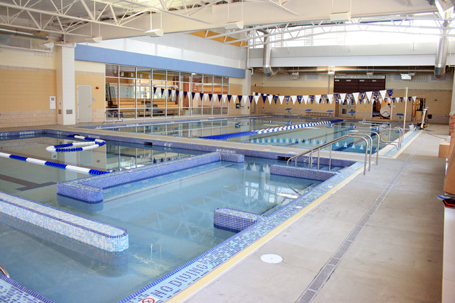 ft. Wellness and Aquatic Center. The Wellness Center has a variety of classroom spaces for aerobics and other fitness activities such as Zumba, Tai Chi and Yoga. In addition, the facility has specialized fitness assessment rooms for individualized consultations and fitness analyses.